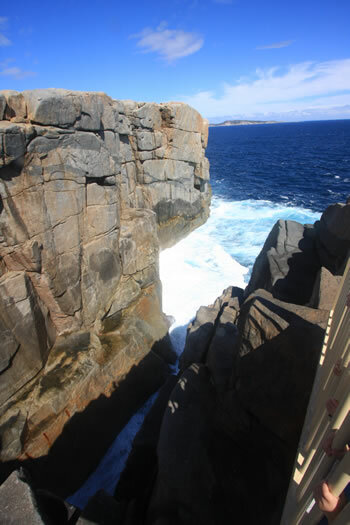 The Gap is an impressive rugged granite channel carved by the waves of the Great Southern Ocean crashing against the granite coastline forming a spectacular sheer drop of almost twenty five metres. 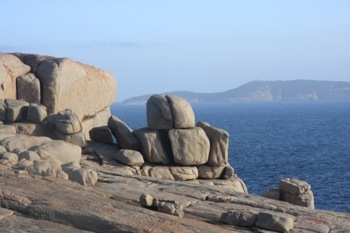 View the MAP of Torndirrup National Park to get your bearings. 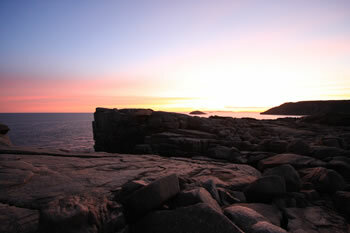 The large car park is only 100metres from the viewing platform along a winding paved track which makes The Gap and the nearby Natural Bridge Formation are easily accessible. Heed any warnings that may appear along the pathways. Rainbows are frequently spotted in the spray from the ocean's torrent. 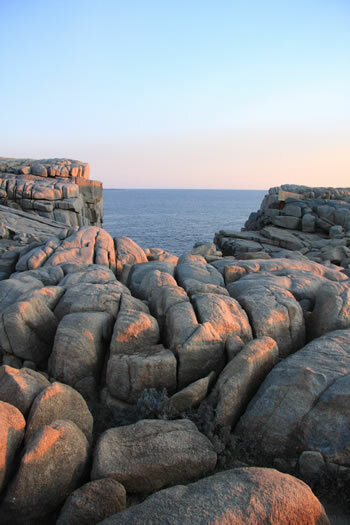 This part of Western Australia was once connected directly to Antarctica when Australia was a part of the supercontinent Gondwana. 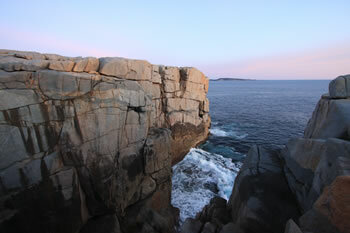 Just a few metres away you can view the Natural Bridge formation from another viewing platform down the path. 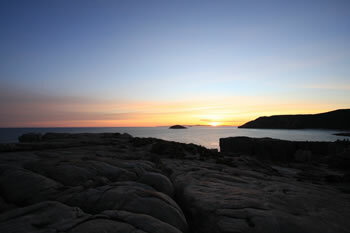 Green Islands sit just offshore to the south-west and give a stunning backdrop to this ancient coastline. 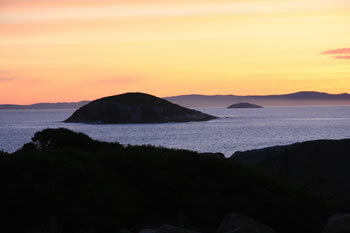 The Gap is in Torndirrup National Park accessible from Albany via Frenchman Bay Road. 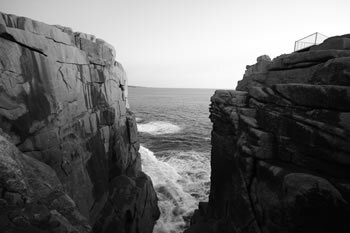 There are limited facilites at The Gap but plenty of parking and easy, sealed walking paths and viewing platforms.